Bombay Grille, home of the best Indian Cuisine, specializes in full-service catering, including buffet, for between 10-5000 people. We deliver in the radius of 300 miles for big parties like weddings, birthdays, anniversaries, graduations, sangeet, and mehendi. We arrange banquet halls for social and business functions. Bombay Grille also caters for small and large offices, hospitals and hotels. Bombay Grille caters for all major hotels in Charlotte, Rock Hill, Columbia, Spartanburg, Greenville and “surrounding areas”, as well as Georgia and Tennessee. 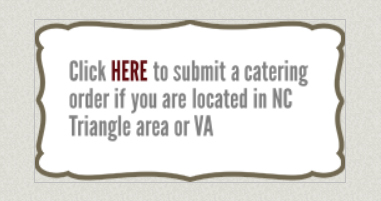 Bombay Grille caters in Chapel Hill, Durham, Raleigh, Fayettville, and all other surrounding areas, as well as Virginia.